At Clairemont, we don’t just spruce up a stalwart event. We love designing completely fresh approaches to target audiences, boost visibility and ultimately secure sales. Last week, we had the pleasure of doing just that! Clairemont and client Wendell Falls, the Triangle’s largest new-home community, hosted a VIP tasting soiree that leveraged hot culinary trends and popular local businesses to attract potential homebuyers. 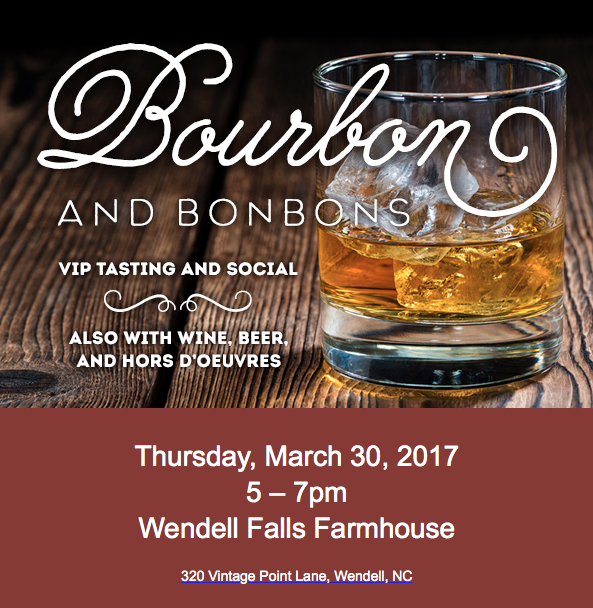 Hosted at the Wendell Falls Farmhouse, “Bourbon and Bonbons” rolled out the red carpet with a classy yet casual evening. 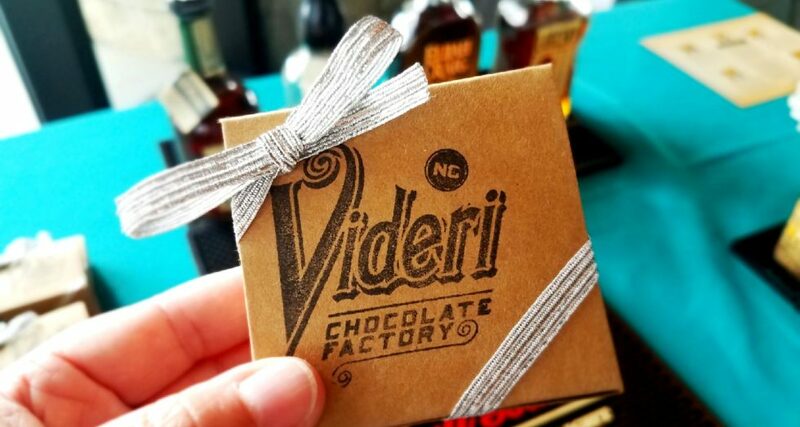 We invited guests to preview some of the area’s finest bourbons paired with gourmet truffles from Videri Chocolate Factory, one of Raleigh’s beloved downtown artisans. Guests could then enjoy a spread of smoky hors d’oeuvres, live music and a glass of wine or beer. Friends and fans from across the Triangle joined the festivities — many who were visiting the community for the first time! Cheers to some of Raleigh’s finest flavors and a wonderful event at Wendell Falls! Cover photo courtesy of wonderful blogger and friend Raleigh Revealed.